Next time you take a trip, if you listen carefully, you can hear the song of the road. It’s right there, in the thumping bass of a Bob Marley protest song, in Stéphane Grappelli’s swingin’ violin jazz standards, in Eddie Van Halen’s masterful 80s guitar solos — and in choir in the back of my Honda CR-V.
That would be two kids singing “Goofy Goober” at top volume. You remember that song from SpongeBob, don’t you? Oh, admit it. It’s OK. You’re among friends. Music is everywhere when you travel. It’s the soundtrack to your vacation, too often unacknowledged by, ahem, the people who write about travel. But there’s a trick to making the melodies work, and it involves developing an appreciation for music, knowing how to listen with a minimum of conflict, and connecting a song to a place. 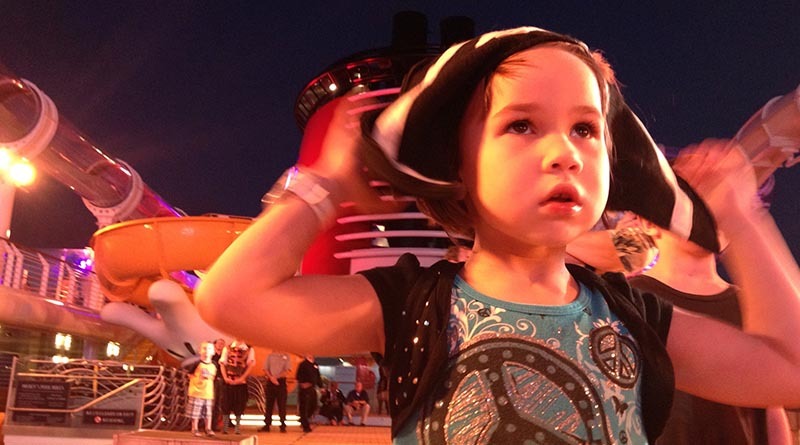 Erysse Elliott watches fireworks aboard the Disney Dream in 2011. The ship was filled with live bands, offering a chance to develop her musical literacy. The road can teach you a lot about music if you just turn off that Top 40 station you’re listening to. You don’t have to take the kids to the opera (although it’s not a terrible idea). Just visit a street festival like the People’s Fair in Denver, where we watched live bands last weekend. Or take them on a Disney cruise, which is filled with live shows and music. No, they probably won’t like everything they hear. My oldest son, Aren, never cared for some of those saccharine showtunes. He mocks the “Frozen” soundtrack whenever we hear it, shortly before ordering me to “TURN IT OFF, DAD!” But little by little, the road can introduce them to the various styles of music. They may not know the difference between a sonata and a concerto, but they might be able to tell a reggae tune from a ska song. I’ll take it. One of my favorite music travel stories happened when we sailed to the Bahamas on the Disney Dream in 2011. My daughter, just five years old at the time, immersed herself in the music on that cruise. One night, her mother took her to a show called “Believe,” which featured showstoppers from several Disney hits. My daughter had a long day and was dozing off during dinner. “She’ll never stay up for the show,” I predicted. I was wrong. She remained until the curtain closed, soaking in every note. I’ll grant you, “Circle of Life” from the Lion King isn’t exactly high art. But it’s a good start. Erysse Elliott in 2017, just outside of Las Vegas. The headset is a great music appreciation tool. It also prevents unnecessary conflicts on a long drive. Once everyone knows what they want to hear — and I’ll admit, that goal can be a moving target — the next step is putting together a playlist. We’ve tried almost everything, from ripping music off YouTube (legally, of course) to Apple Music and Sirius XM. Old-fashioned CDs work well too, as long as you can find a player. Not every car has that 90s technology. Our solution is a family subscription to Google Play, which allows each family member to create a playlist and share it. Then the negotiation starts. Whose playlist gets played? What kind of veto powers get conferred to the other family members in the car? There are compromise playlists. For example, I put together a killer compilation of 80s tunes, heavy on Michael Jackson. There’s a 60s playlist with Motown classics, excellent for singing along. There’s a reggae playlist, featuring Toots and the Maytals, Peter Tosh and, of course, Bob Marley. And finally, we have the classical playlist with Beethoven, Mozart, and Strauss — plus a little Rachmaninov. And there are playlists that you can only play for yourself. 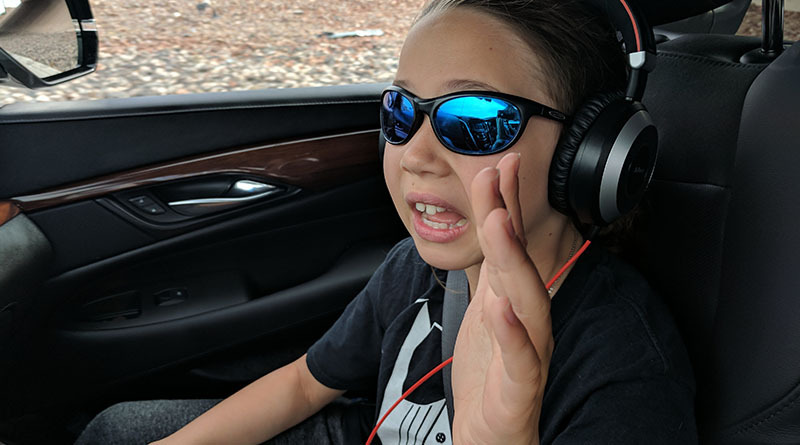 My middle son, Iden, has a fine collection of what can best be described as goofy melodies which he must listen to on his headset. My private collection of early 80s synth tunes, it is understood, will remain private. Today’s sophisticated playlist algorithms can create playlists based on songs you like, which offers opportunities to discover new music. Those allow my family to explore the musical soundscape while we’re on the road. A view from the front seat just outside of Torrington, Wyo., last week. It is in places like this that the music unfolds, cementing an unforgettable memory. 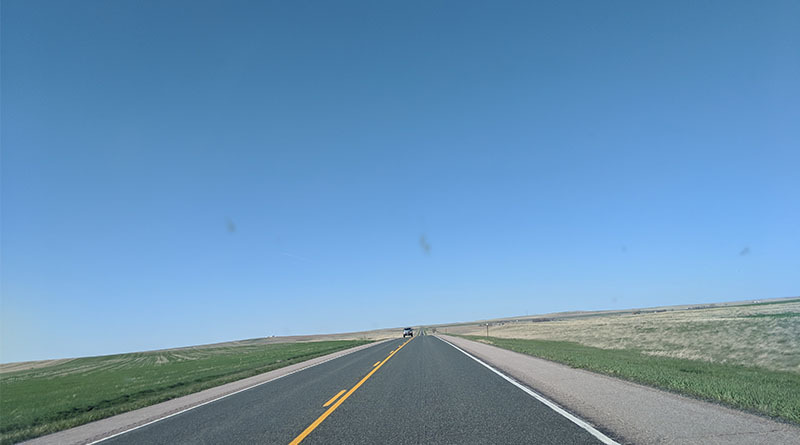 On long car drives, the music creates a connection to a place. The Grateful Dead will always connect us to our many drives along the West coast, especially Oregon. There’s a moment when we were driving along Highway 101 near Manzanita, Ore., and we heard Jerry Garcia singing “Might as Well,” that will forever tie the song to the place. If you’ve never been to Oswald State Park, you have to go. It’s so groovy. It’s the kind of place where you’d expect to meet someone like Garcia. Another destination song happened in Torrington, Wyo. That’s where we heard the last movement of Beethoven’s Symphony No. 9 in D minor. Few people write about the beauty of Wyoming in late spring — the emerald green grass rolling like waves in the wind. Beethoven’s Ninth is one of the greatest works of music ever written, but adding a place as breathtakingly beautiful as Wyoming in spring, provokes a strong emotional response. I hope my kids didn’t notice the tears streaming down my face as I struggled to keep our car on the road. Without music, travel would be a silent, empty experience. Building a little music literacy in your kids, finding the right playlists and knowing how to connect a tune to a place, can help you make the most of your travel soundtrack.